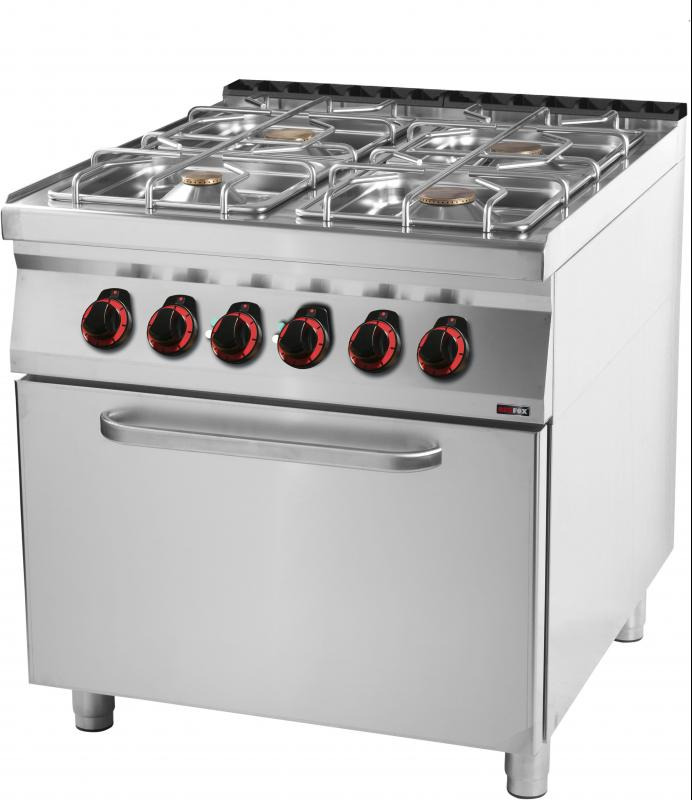 Double boiling unit with 1x3,5 kW+1x5 kW+2x8 kW and oven 3,13 kW. Powerful brass burners with unique flame-speader. Electric oven GN 1/1 with convection heat inside the cabinet.